Ryan Grigson finally left the Indianapolis Colts in January after five seasons as the team’s GM. He picked Andrew Luck and T.Y. Hilton but the team stalled out under his guidance and he utterly failed to build anything close to a suitable offensive line to protect his MVP-level quarterback. Jim Irsay reportedly tried to get Peyton Manning to take the GM job, and he fired Grigson shortly after those rumors initially popped up. Grigson was out of a job for four months before landing on his feet and getting a gig with the Cleveland Browns. Perhaps Grigson’s most infamous moment from his time in charge of the Colts was his disastrous 2013 trade for Trent Richardson, in which he gave up a first-round pick for a running back whose most recent gig was with the Alabama scout team. He traded that pick to the Browns, and even though they fucked it all up and picked Johnny Manziel, don’t lose sight of the fact that Indy got fleeced. In a way, both sides bungling this trade up so badly is a good indication of why Grigson will probably be a perfect fit. 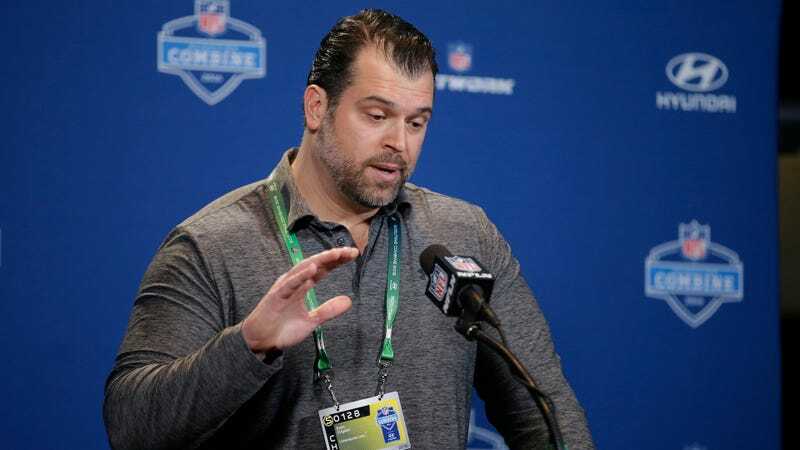 The Browns announced that Grigson would serve as Senior Personnel Executive and report to his former Colts underling Andrew Berry. Ryan brings valuable experience to our personnel group. He was raised as a road-scout and has been evaluating talent in this league for almost 20 years. We place a premium on that experience and on his passion for football. Ryan has much to offer to any personnel department and we are pleased that he chose to join our staff. Former all-pro Colts punter Pat McAfee, your take?